This post is brought to you by a new blog contributor, Katie. 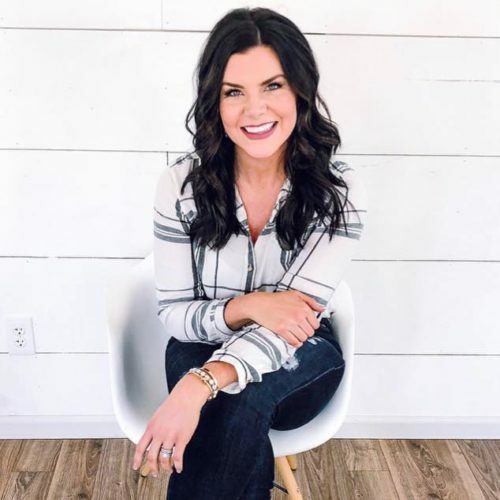 I am a Minnesota based lifestyle blogger who is committed to inspiring and encouraging people through home decor, style, and tips on motherhood. 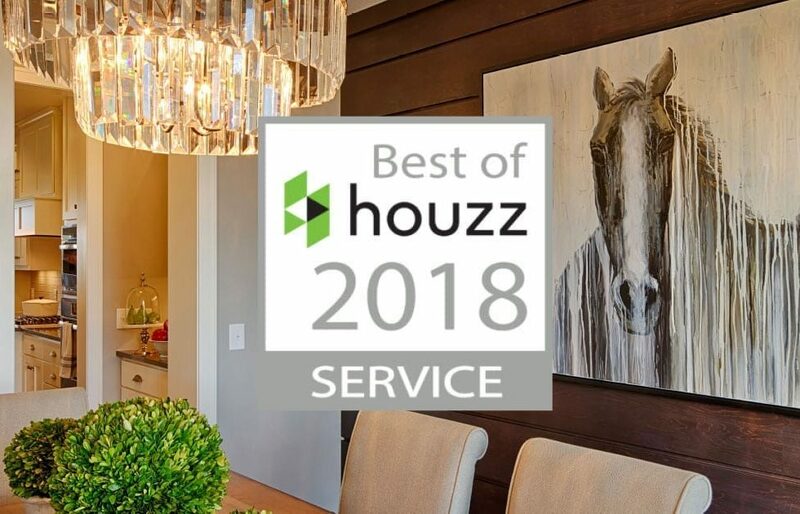 My husband and I built with Robert Thomas Homes and we love living in the Spirit of Brandtjen Farm neighborhood with our two daughters and pups. Two years ago this month we set foot in our brand new Robert Thomas Homes home! Building a home has always been a dream of ours. The process is so exciting and can be somewhat overwhelming. When you are selecting things you’ve never thought twice about (for me that was types of toilets, a drain in the garage, carpet textures, etc.) 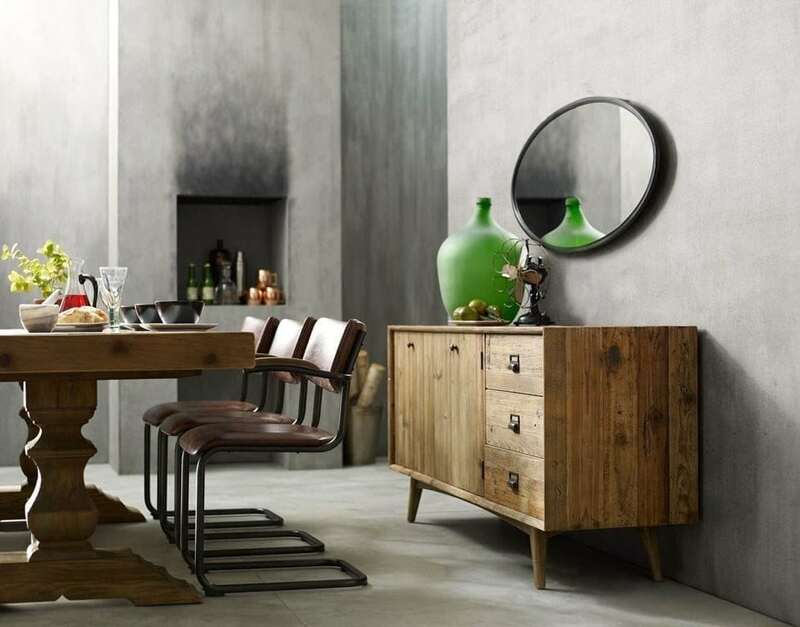 it’s easy to miss some of the simple (and inexpensive) touches you will be so grateful for in the long term – such as a few extra electrical outlets in places you may not have considered. So, I’m sharing information about four extra outlets we added to our home that may also benefit you along your building journey. If you follow me on Instagram, it won’t take long for you to see my love for decorating – especially at Christmas time. If my husband would let me, we would have a tree in every room! So of course, Christmas decorating was absolutely something I took into consideration when looking at outlet locations. 1) Mantle: If you like to have a garland on your mantle, I highly recommend adding an outlet to the back (more hidden) area of your mantle. This prevents having to run extension chords down to the floor or cabinets. 2) Outdoors: I would also recommend making sure there are easily accessible outlets on the outside of your house for outdoor holiday lights. We have one on the ceiling of our front porch, which has made it so much easier for my husband to hang lights. 3) The Mudroom Closet: I highly recommend adding an outlet in the mudroom closet. If you have predominantly wood floors on your main level, you will absolutely want a cord-less vacuum (which requires a charging base). I have found the best place to keep ours is in our mudroom closet, and I am so glad I thought to add an outlet there. 4) The Pantry: We also added an outlet in the pantry because we keep our microwave in there. 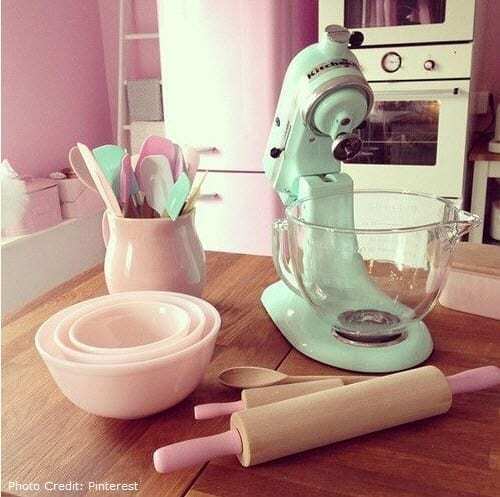 But it is also handy when hosting to plug in a crockpot to keep extra portions warm while keeping the island and kitchen counter clear for the main serving dishes. 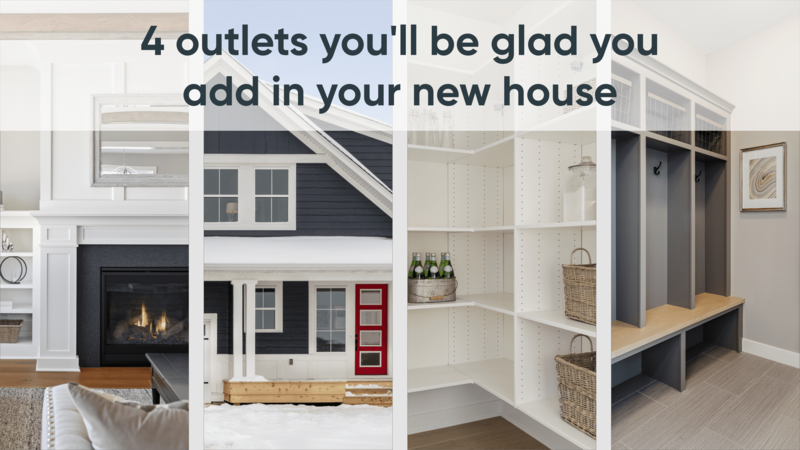 There you have it – four outlets you will be glad you added in your new home! 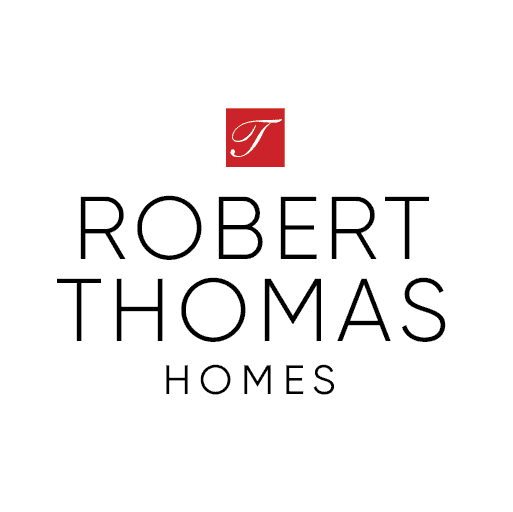 I wish you the absolute best in building with Robert Thomas Homes – we loved building with them and are so very happy with our house. Our experience was always positive, personal and kind – from our sales consultant to the project manager, to the mortgage team, to the construction trade partners themselves. We always felt supported, heard and as though people genuinely loved what they do. Best of luck and congratulations on your building journey!